The Real Food Market appears every weekend, from Friday to Sunday, behind the Southbank Centre and food sold at the stalls is of a high standard, in line with the philosophy behind the Real Food movement - to promote British produce that's nutritionally rich, and made using sustainable and ethical methods. 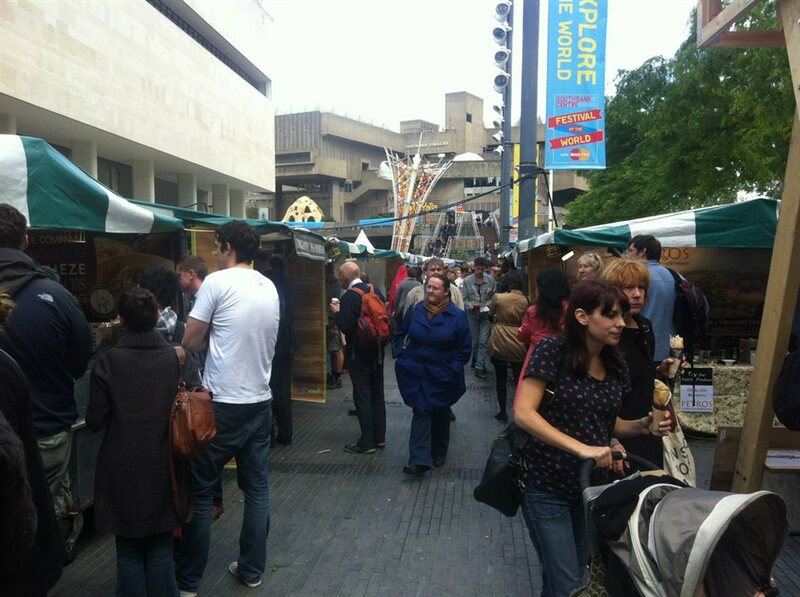 Small-scale producers gather in Southbank Centre Square, the courtyard behind Royal Festival Hall to show and sell their wares, so you can stuff your bag-for-life full of tasty cheese, delicious pies, fresh pasta, seasonal fruit and vegetables, organic meat and many other delicacies. What are the best dining options near Real Food Market London? Real Food Market gyms, sporting activities, health & beauty and fitness. The best pubs near London Real Food Market. Real Food Market clubs, bars, cabaret nights, casinos and interesting nightlife. Where to have your meeting, conference, exhibition, private dining or training course near Real Food Market. From cheap budget places to stay to luxury 5 star suites see our special offers for Southbank Centre Square hotels, including Park Plaza County Hall Hotel London from 88% off.